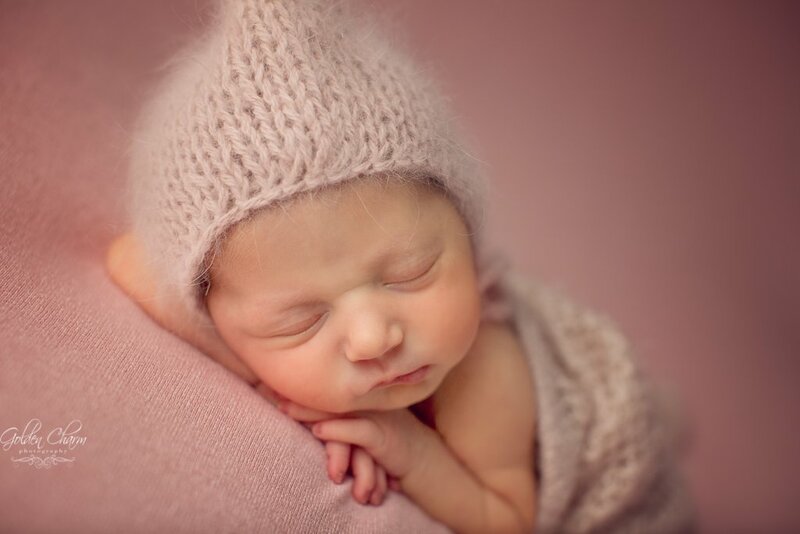 After a long string of newborn boys in the studio recently, it was so fun to have a newborn baby GIRL in the studio! Gorgeous Shivali came to see me when she was just 7 days old. 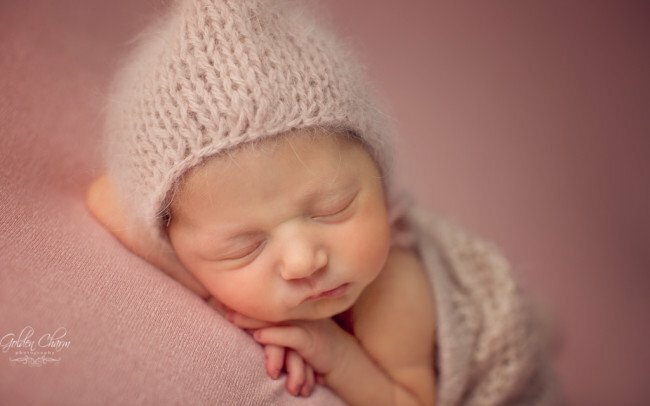 She has a gorgeous head full of dark hair and some of the longest lashes that I have seen on a newborn. She was so sleepy, allowing us to get many different setups and poses. 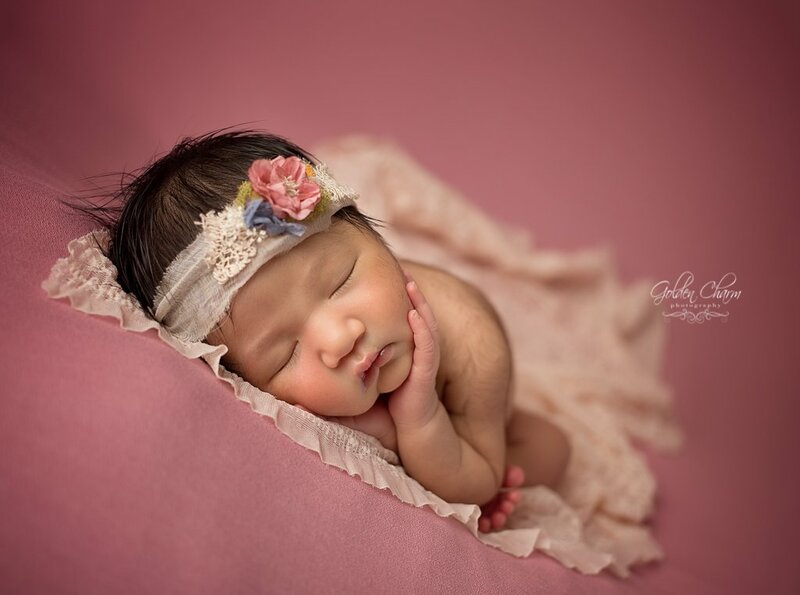 I was very excited to have a newborn girl in the studio, and wanted to take advantage of the warm weather and beautiful flowers. I made a special bonnet and blanket set for Shivali’s session to use outside with the flowers. Sweet Shivali brought my vision to life. The deep, vibrant colors looked absolutely perfect on her, and she was just beautiful among the flowers. It was such a wonderful session to welcome sweet baby Shivali to the world. Congratulations to the new family of three! I recently had a gorgeous studio & outdoor maternity session with Olga and Roman. Olga was an absolutely stunning mama-to-be. She was radiating love and excitement for her baby, and was a joy to photograph. Olga is so natural in front of the camera. Studio sessions can be a bit intimidating for some mamas-to-be but Olga was comfortable and confident. The studio images are breathtaking, and focus on the beautiful female form during pregnancy. We also headed outdoors to get some images of Olga and Roman together as they await the arrival of their new love. They are such a beautiful couple. I loved capturing their love for one another, and their excitement to meet their new baby. I love how Roman looks at Olga like the beautiful goddess that she is. It was a bit cool the day of their maternity session, but the golden light was just gorgeous. Olga was drenched it warm, gorgeous light and it was just perfect. For the outdoor portraits, Olga wore a dress that I custom made for her maternity session. Olga brought my vision to life, and I could not be happier. When I met this gorgeous mom-to-be at our pre-session consultation I knew right away how I would style her maternity session: light, airy, elegant. So I went ahead, grabbed a cup of coffee and my beloved “Singer” sewing machine and got down to some serious design work. After a couple of hours her beautiful lace gown was ready! Oh did she look gorgeous in it! On the day of the shoot we had a hair stylist and a makeup artist at my studio who worked their magic on her and I was pleased to hear that all this prep-work made her feel as if it was her wedding day. What can be better than spending such a gorgeous day outside. When the snow is so very fresh and the only steps on the snow are yours! 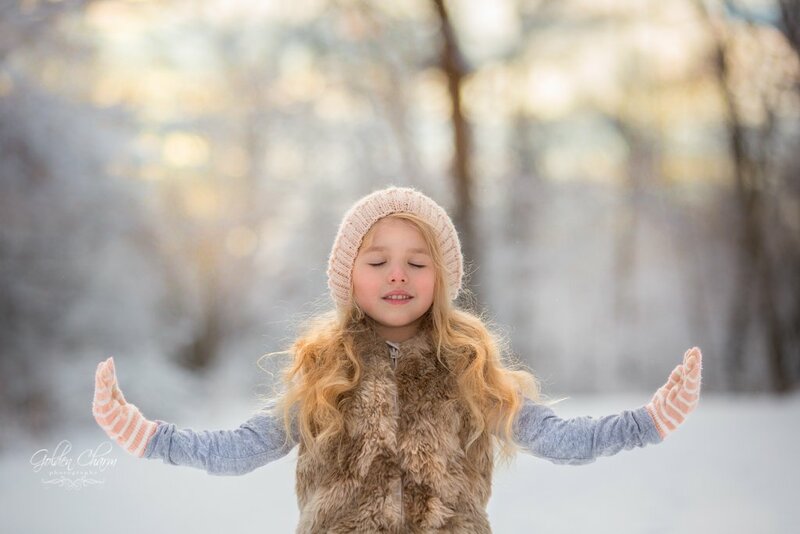 Fresh air is awesome for yoga! 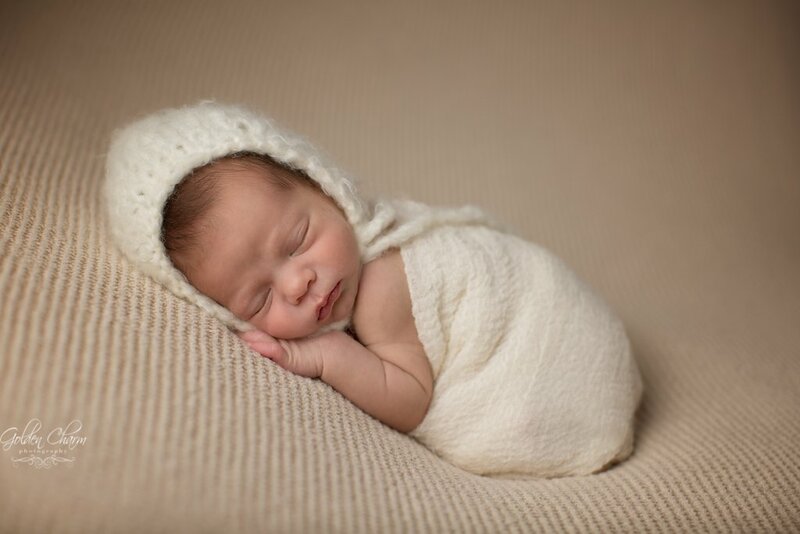 Two months before this sweet little boy Logan arrived into this world his mommy contacted me to book a photo shoot. At that time she didn’t know if they’d have a boy or a girl. She and her husband are one of those people who prefer not to know the gender of the child until she/he is born. They love surprises! 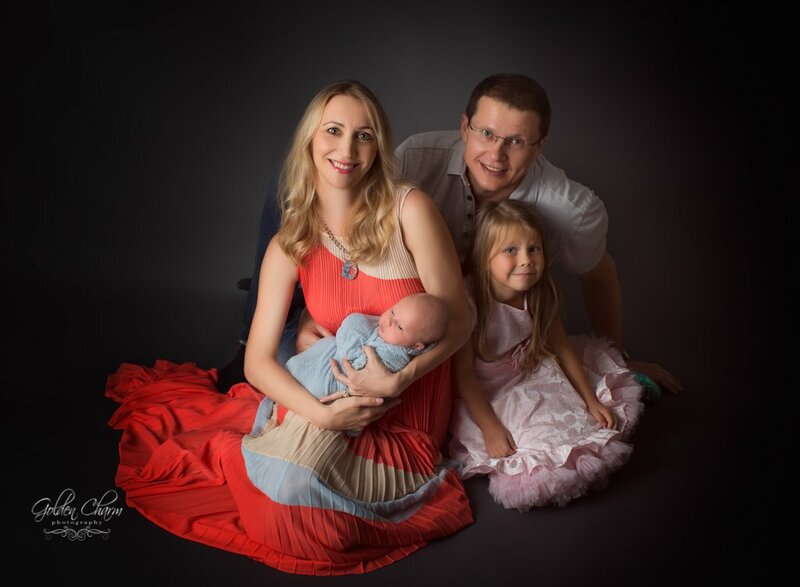 I was so lucky to have this beautiful family with their new baby boy Maksim in my studio recently. Look how happy they are and how stunning they look together! I loved cuddling this sweet little girl. Even though she was only 14 days old at the time of the photo shoot, Molly was modeling at a professional level. She was so calm and “cooperative” it was a breeze working through this session. A professional maternity and newborn photography was a dream until Julia made it real for me. Thanks to her affordable price and accommodative nature I have had the most pleasant experience working with Julia. She also handled my twin boys with so much ease when they were just 9 days old and have given me such amazing ideas photographs of them, the quality of which has got a lot of attention from friends and family and still continues. Thank you Julia for giving me memories I would cherish forever in the most beautiful photographs. I will definitely recommend you and also looking forward to working with you again in future. Julia at Golden Charm Photography has been our go-to for our yearly family picture for the last couple years. She does an amazing job capturing our family dynamic and works so well with the kids. Getting the kids to co-operate and capture the perfect shot can be challenging but Julia makes it happen everytime! 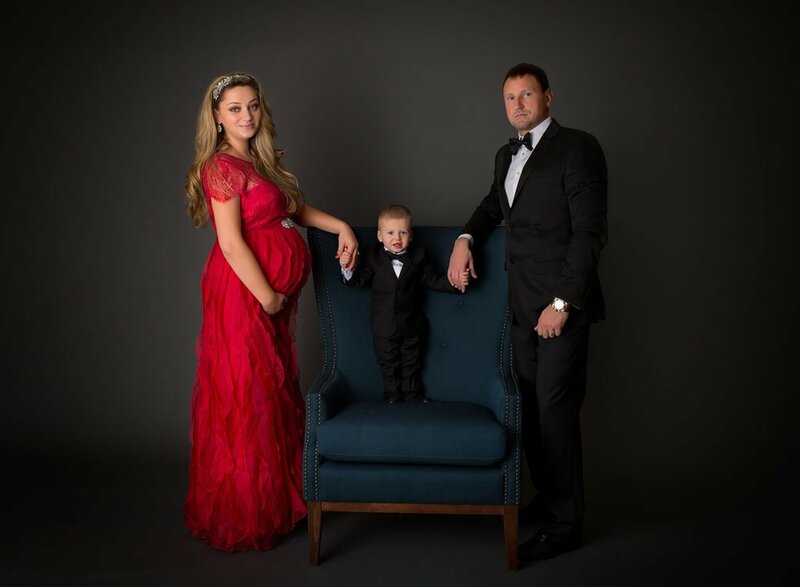 We look forward to our next family shoot next year! I had a couple of lifestyle and in-studio portrait sessions with Julia and I absolutely love the final pictures! She is very creative and talented and is also professional and fun to work with! She can always suggest interesting ideas and makes sure that you feel very comfortable while shooting. During our last photoshoot she made me feel like a real model :) I definitely recommend Golden Charm Photography! We get professional family pictures done every year, and decided to try Julia 2 years ago. She took the most beautiful pictures, was super sweet, and all around professional, and since then we have used her a family shoot, a maternity shoot, and a newborn shoot. It seems that her work is getting better and better, and now I'm just looking for an excuse to take pictures. I would definitely recommend her to anyone looking for an amazing photographer!